Say No to the Duke, to be released in June 2019, has landed on Goodreads highly anticipated Hottest Romances of 2019! Get a taste of what’s to come: read an excerpt and pre-order your copy. This story is for Betsy, the first of the Wilde sisters to have her say. Haven’t read the earlier Wildes? Binge the first three and fall in love with Alaric, North, and Parth. 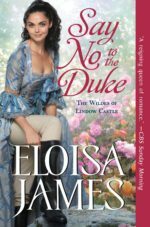 Compare the Say No to the Duke covers — here is the UK cover. 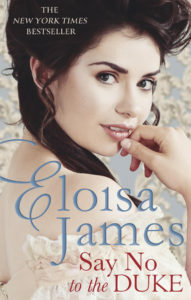 Eloisa just loves it: “It’s also a perfect Betsy!” See all Eloisa’s books that are available in the UK. 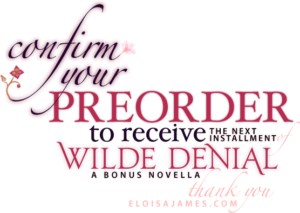 Pre-order your copy and receive an exclusive extra from Eloisa. Find out more.